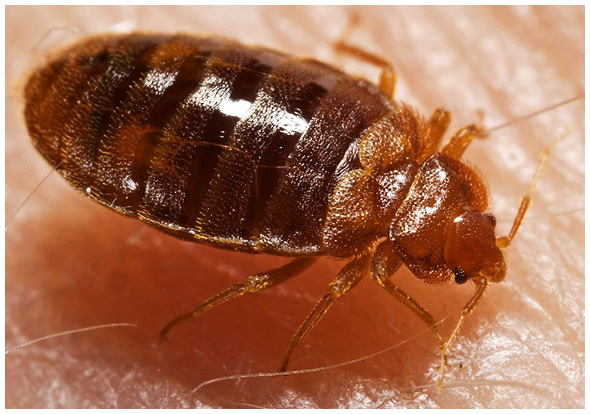 Bed bugs are parasitic insects of the cimicid family that feed exclusively on blood. In the 1940s, cases of bed bugs were mostly eradicated in the developed world, but infestations have been on the rise since about 1995. Thoughts on the resurgence of bed bug population vary from complacency, increased resistance, bans on pesticides, and increased international travel. No one really knows why for sure there are more cases and why they are occurring more often, but detection and mitigation are widely known and understood now to help keep the population from getting severe. Bed bugs are flat, reddish-brown, oval insects up to 4-5mm long and they prefer to be more active at night when the host is asleep. They can lie dormant and hidden for up to a year without a meal and are found in cracks and crevices, most commonly mattress seams, sheets, furniture, or on luggage. This is why bed bugs are found commonly in hotels because of the frequency of travelers, with many personal belongings occupying rooms. Females can deposit 1-5 eggs a day, and may lay 200-500 eggs in a lifetime. Under normal room temperatures and with an adequate supply of food, they can live for more than 300 days. Detection of bed bugs usually comes in the form of itchy bug bites on the face, neck, hands, or arms overnight. A rash, blood stains on sheets, or dark brown marks on the mattress are other signs of bed bugs. If you think you might have a bed bug infestation in your home, check the common places that they may show up and see if you can identify any of the clues we’ve discussed. Look behind frames, under wallpaper, in couches and other furniture. Even if signs confirm there were bed bugs at one time, this may not mean there is still an active infestation. 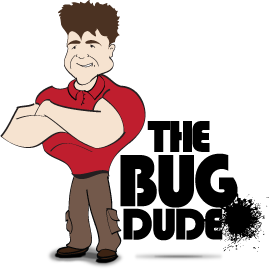 Getting rid of bed bugs is not an easy process and most cases will require treatment by a pest-control expert.